The Jasper County School District is prepared to offer a variety of ways for students to become college and/or career ready. Even though, Acellus was previously offered to specific students; the district is now equipped to provide the online education option to even more students within the district. South Carolina State Superintendent Molly Spearman is an advocate of schools utilizing the option of online education to provide expanded opportunities for children. And Jasper County School District is proud to share that students have the choice option of online education. Acellus is an online curriculum with coursework that ranges from Pre-K through College, including Career and Technical Education. Jasper County School District began experimenting with the Acellus system approximately a decade ago. This current implementation of Acellus started six years ago at the Jasper County Alternative Program; the system has gradually expanded to students for homebound, home-based and then students who needed to make up classes in order to graduate with their class. Acellus also has many Advanced Placement courses, that are taught by certified staff, to allow students to participate in the National AP exam program. Acellus courses reaches its greatest effectiveness in the blended learning environment. The district has subject-specific teachers who can efficiently address student needs. It multiplies the effectiveness of a teacher because the system informs the teacher which students are having difficulty and who needs individualized or small group support. JCSD recently conducted an Onsite Professional Development session to ensure our teachers are effectively assisting students with the Acellus software for maximum success. to learn a higher level of the Acellus system. Teachers learned to interpret performance reports, regulate students within a course, and transmit messages to students within the system to provide encouragement and reinforce good work. The administration at Ridgeland-Hardeeville High School (RHHS) explored a grant opportunity offered by Acellus; after conferencing about the ways that Acellus could be beneficial to high school students, the RHHS team decided to implement. Currently, RHHS is the largest user of Acellus student accounts in the district; Hardeeville-Ridgeland Middle School is the second largest user. Teachers especially love the “Live Class Monitor” feature. This feature allows the teacher to observe all the students in class and monitor how they are progressing. The system enables teachers to view a student's progression; if a student is improving, having difficulty, needs extra help, or even guessing. It’s a real-time multiplier because a teacher can focus extra attention where it is most needed…individualizing student support. Acellus is designed to be easily accessible for students and their parents. 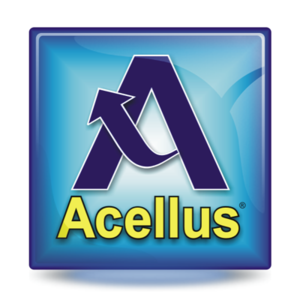 Parents have the option to receive monthly Acellus Parent Progress Reports for their children. The Parent Progress Report provides a breakdown not just on their current grade in a course, but also a student’s progress through the course, the number of lessons completed, how much time is spent on a specific lesson, how many videos are viewed, exam and activity scores, lessons due and completed, and much more. Jasper County School District is Student-Centered…Future-Focused; offering choice in education to all students. The best is yet to come!